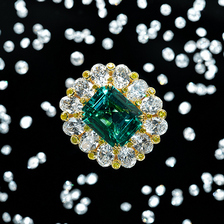 The most well known public auction houses, both Christie's and Sotheby's, have consistently brought the most amazing diamonds and jewelry to the public eye. Always, finishing off the year with a bang, Sotheby's Geneva will be presenting a natural blue diamond that might just be the most expensive diamond ever sold at auction on Nov 11, 2015. Thank you for downloading the Leibish & Co. Diamond Investment E-Book! One of our investment specialists will reach out to you shortly. Until then, enjoy the read! The Blue Moon diamond, a 12.03 carat, fancy vivid blue, with an IF clarity will be the highlight of the evening. Not only is this an absolute treasure, it is considered the largest cushion-shaped fancy vivid blue diamond to ever be offered at auction. 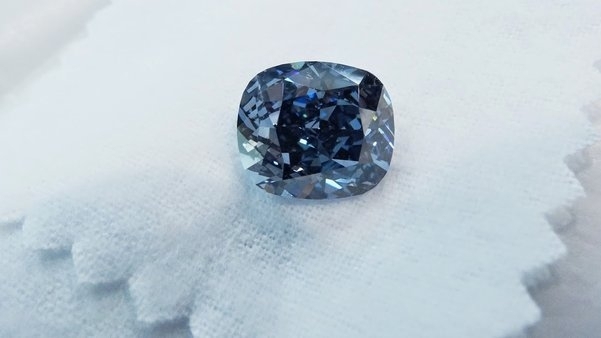 The stone, which is estimated to sell at roughly $55 million, was classified by GIA as a ‘bright fantasy blue,’ which is the highest rating among blue diamonds. For years, because the world of color diamonds remains so private, many individuals have been tracking the auction results trying to identify a price trend within the market. Looking at the history of the prices paid for natural blue diamonds, it is almost unbelievable to see just how high prices have reached. In May, 2014, the 13.22 carat Winston Blue broke the world record for a Fancy Vivid Blue diamond when it sold for nearly $23.8 million ($1.8 million per carat) at Christie's Geneva Magnificent Jewels sale. In Nov, 2014, later on that year, the record was broken once again when the Zoe Diamond sold for $32.6 million. The 9.75 carat fancy vivid blue currently holds the record for the most expensive blue diamond ever sold at auction. The diamond was originally sourced from the Cullinan mine in South Africa, and announced for the first time to the world last year as a 29.93 carat stone. There was a lot of excitement then, as the rough looked so promising. Only, no one would have imagined the outcome of an internally flawless vivid blue at such an impressive weight. Whether the Blue Moon diamond will be the most expensive diamond ever sold at auction is not yet know, but it will surely be among the top ten. However, why is it that when we see flawless diamonds over 100 carats sold at auction, it is diamonds like this, at only 12 carats, that take home the gold? Well, the answer, as difficult as it might be to comprehend, is as simple as the color of the stone. David Bennett, worldwide chairman of Sotheby's international jewelry division, calls the diamond "magical and sensational" a stone of absolute perfect color and purity. He continues to say that "Blue for me, is the most mysterious and magical of all diamond colors. This one will now take its place among the most famous gems in the world." 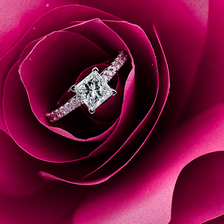 Natural fancy color diamonds hold the potential to appreciate so much because of the basic rules of supply and demand. However, even more than what is currently available in the market, these investments are sometimes driven by the sensation of passion because people connect so strongly to colors. 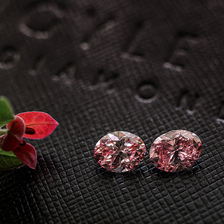 As time goes on, we consistently see the prices for color diamonds on the rise. The question isn't when you will get yourself into the race, but rather when you will make the decision to finally let your heart drive you towards the passion investment of your dreams.